Look who has featured us Online! 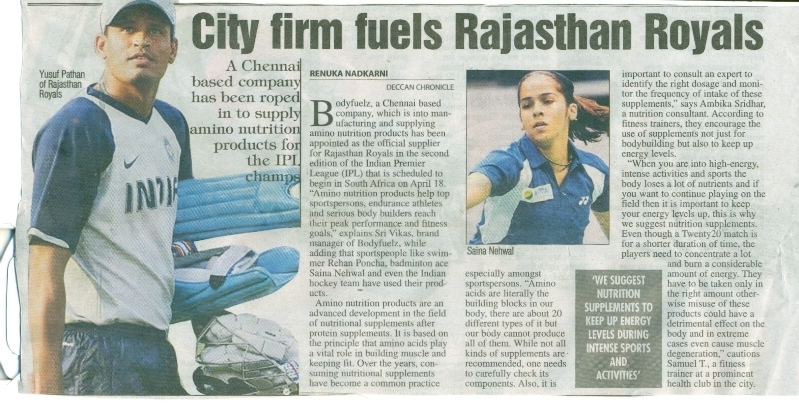 Deccan Chronicle has come out with this article today here : City Firm fuels Rajasthan Royals . 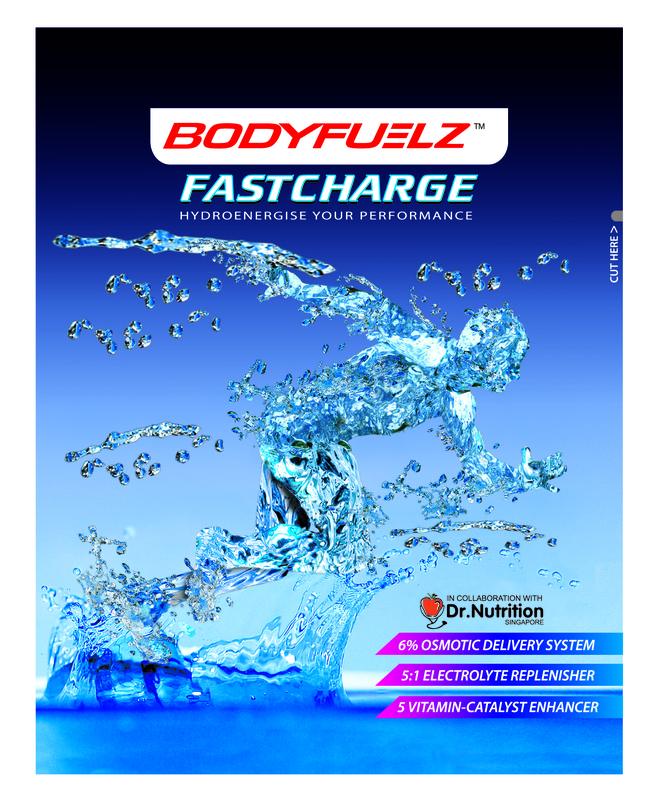 Our sports re hydration drink FASTCHARGE has been designed keeping the Indian sports players and endurance athlete in perspective , under Indian climatic conditions. Unlike other sports rehydration drink available in the market,FASTCHARGE not only replenishes the body with the electrolytes but also vitamins and other minerals lost. FASTCHARGE is an excellent re-hydration drink for this Indian summer season. BODYFUELZ are pioneers in manufacture and marketing of next generation Sports Performance Nutrition supplementation based on AMINONUTRITION. Our products help sports players, endurance athelets, serious bodybuilders and fitness enthusiasts to reach their fitness goals. This entry was posted on April 28, 2009 at 1:34 pm and filed under amino acids,AMINONUTRITION,energy drink,health and fitness,life,Lifestyle,Nutrition,protein supplements,sports drink,Weight loss,whey protein. You can follow any responses to this entry through the RSS feed.